Happy October! I think many of you will agree with me in saying that it's quite possibly my favorite month...except maybe December. I love that the temperatures will start cooling off, that the leaves will start turning colors, and most importantly (haha) that we can all finally wear our cute fall clothes! 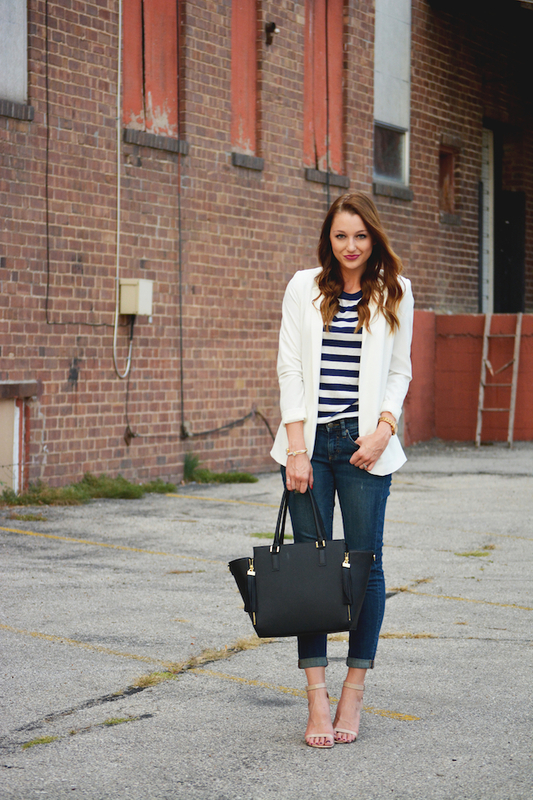 This blazer has been on major repeat for me already this fall! 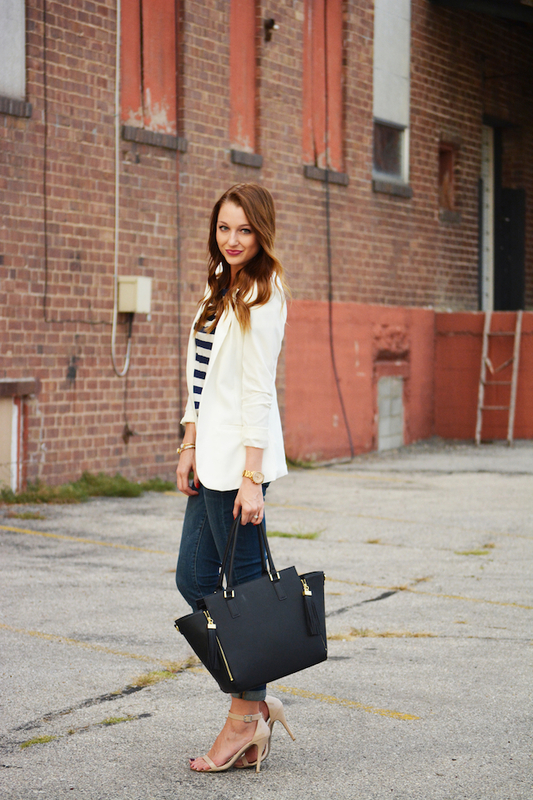 The cream color and boyfriend cut are so versatile for work and play, and I love how easily it can pull an outfit together.